Sponges allow easy cleanups for kitchen and bathroom spills, but are notorious for harboring harmful bacteria if they are not properly sanitized and dried out. A wet sponge is a breeding ground for bacteria and easily becomes the source of germs rather than preventing them if left untreated. Throw sponges out once they have a sour smell or if they begin to look dingy to protect your home and yourself from germs, according to Good Housekeeping. 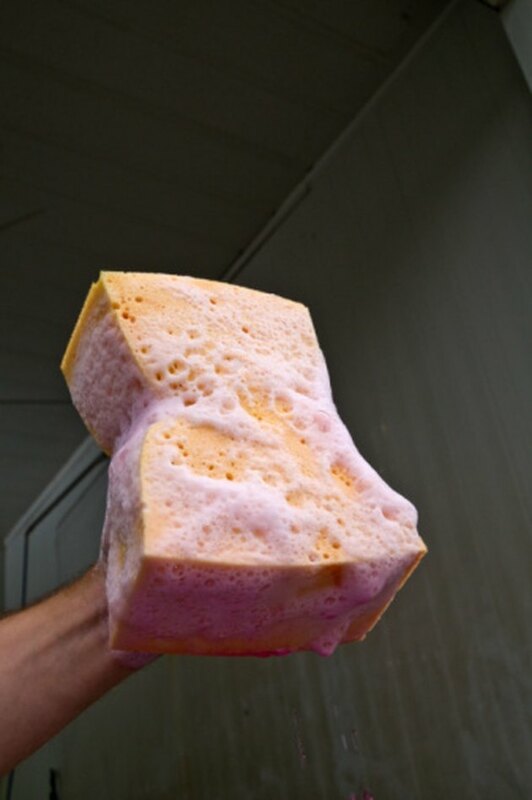 Extend the life of your sponges by sanitizing and drying them out. Fill the medium-sized bowl with 1 gallon of warm water and pour 3/4 cup bleach into the bowl. Submerge the sponge into the mixture for five minutes. Remove the sponge from the bowl and place it in the microwave. Set the microwave to one minute for scrubbing sponges or two minutes for cellulose sponges. Press "Start" on the microwave and remove the sponge after the microwave timer goes off.